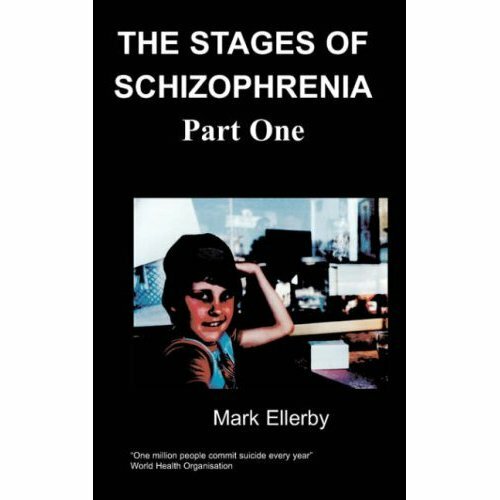 I highly recommend this book on bi-polar and manic-depressio ..
“Poles Apart” tells the story of how suffering from severe mental health problems since the age of 17 nearly destroyed Michelle. But now, strangely, when she looks back at her life she feels it has made her stronger. It took ten years before she was diagnosed with Bi-polar disorder. Her low episodes were caused by very excessive stress in the workplace as a personal assistant in local government and she had three breakdowns at the ages of 17, 22 and 27. During this last one she threw herself under a train and miraculously survived with no injuries. She was sectioned into a Victorian style mental hospital. This, she says, was sheer hell on earth. Although married for 4 years, Michelle was surprised to find herself pregnant. Throughout the whole of the pregnancy she was still very depressed and convinced she was dying and that her body was tricking her into thinking she was pregnant. Nobody knew. Eventually she gave birth to Kirsty, who she calls 'my darling daughter' (now aged 8). 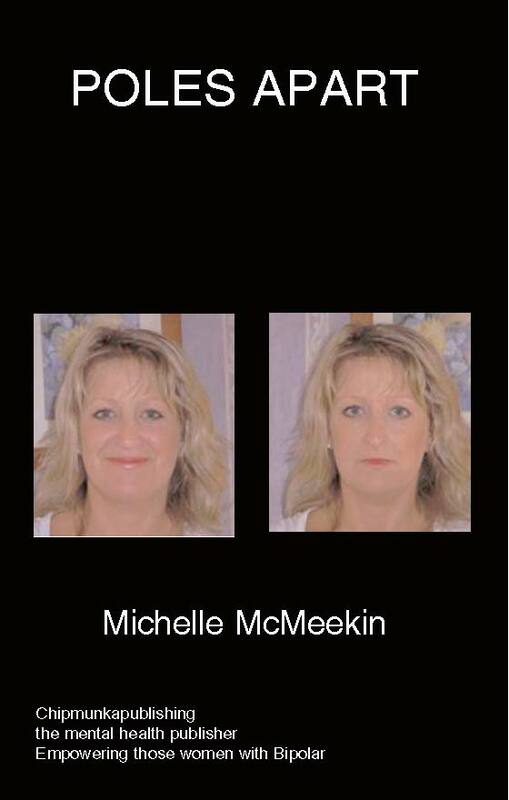 Michelle loved being a mother and says she went a bit high afterwards but leveled off. Sixteen months later she had a second daughter; 'my lovely Lauren' (now aged 6). Everybody has turning points in their lives when their life goes in a different direction. I can pinpoint the day when I decided to write my book and help other sufferers by becoming a volunteer at MIND. I had toyed with the idea of writing a book before but something happened to me that day that had a profound effect of me. I was reading an article in the paper and the article was about Achievement Awards for People. It might have been the Daily Mirror’s “Pride of Britain”. I’m not sure but that doesn’t matter as it was the contents of the article that had an effect on me. It was the true story of a husband and wife who were both professionals. They had worked hard in their careers, had a nice lifestyle and plenty of money. They wanted a baby but couldn’t conceive naturally. They had IVF. I’m not sure how many courses of IVF they had but eventually they had a baby – a precious baby. But the wife got serious post-natal depression. Now the difference between having serious post-natal depression and normal post-natal depression is the difference between having pneumonia and a cold. She became very ill and their lives were turned upside down. The husband had no experience of dealing with mental health problems and he struggled to cope. One day when the baby was about 4 months old she went off in her car and threw herself of beachhead cliffs. The husband now patrols the cliffs and has saved countless lives by persuading people not to throw themselves off. Even whilst I am writing this I have had to break off twice to cry as it has had such an effect on me. I would like to meet this man one day. The thing is that poor, poor dead lady could have been me and I understand exactly what she was going through. People who have never suffered with serious mental health problems and it has to be serious (I am not deriding any other forms of mental health, only when it is serious you become psychotic (mad)). Years ago you would have been put in a straight jacket and locked away in a Mental Institution. People will say how she could leave her baby and husband, she couldn’t have loved them. That is utter rubbish. She would have been so ill and out of touch with reality she wouldn’t have known what she was doing. Other factors have made me put pen to paper as well. I believe my Nanna who sadly took her own life after a very hard and serious depression is guiding me and wanting me to help others now I am strong and well myself. The day after reading the above article I rang MIND to see about volunteering work. I had a chat with a very nice lady called Alison who is in charge of volunteers at Darlington MIND. She seemed very pleased I wanted to be a volunteer. I came off the phone and immediately went to my car as I was due somewhere. As I turned the ignition, the radio, which had been missing for weeks, fell out of the sun visor. I put it on and there was a programme on Radio 2 discussing a lady lawyer in the USA who had killed herself by jumping from a tower block. A listener had just said she was selfish and discussion commenced. Another listener said no-one could judge unless they had suffered from mental health problems (if you are depressed you are seriously unhappy, if you are seriously depressed you are dead inside). Someone who has suffered would never judge. I only feel deep, deep sorrow that another soul has been in such torment with no help and a life wasted. I knew then that I had to do something (it was like a calling!). There are so many people out there too ill to speak for themselves.